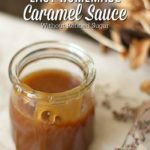 This caramel sauce, my friends, is ridiculously addicting and ridiculously easy. Like, why does sugar have to taste so delicious? Really, it’s not fair. 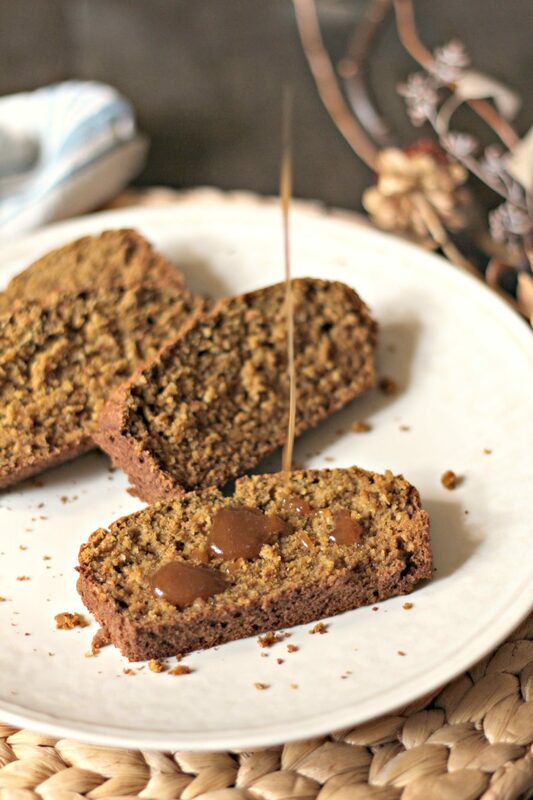 I first whipped this up – without jotting down a recipe, of course – to top a pumpkin banana bread that I will be sharing on the blog next week. It was sooo good. To that version, I added a bit of pumpkin spice and, holy moly, it was the best. thing. ever. But today I’m sharing just the plain ol’ version of this, and you can add other things to it to funk it up, yo. I could eat this by the spoonful (and may have while I was “taste testing”), but it’s probably not the best thing to do. So, then I ate it with an apple to make myself feel better. The best part about this recipe is not only the deliciousness, but it’s really not that unhealthy. 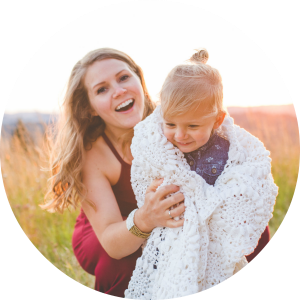 It’s made with a few, simple, real food ingredients and doesn’t have any refined sugar. It’s made from maple syrup (which comes from trees), coconut milk (which comes from trees), butter, and salt. So basically you’re eating salad. Too far? 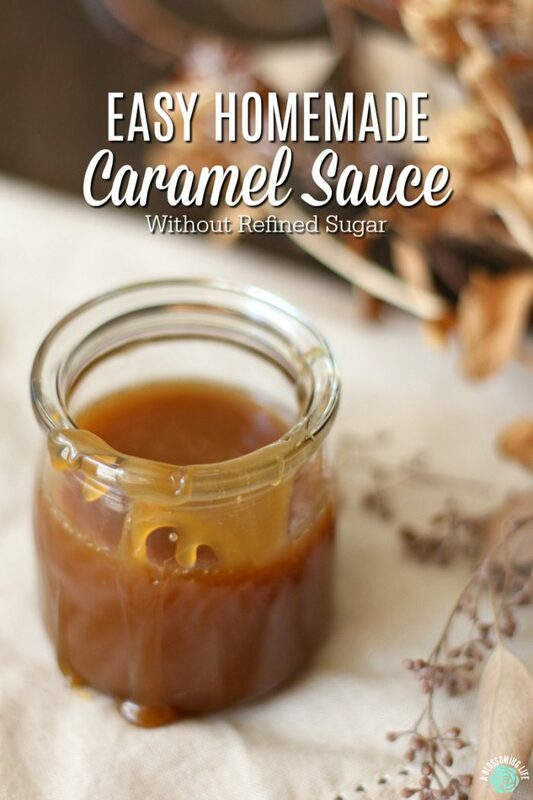 You can use this caramels sauce to top bread, popcorn, pretzels, muffins, scones… hmm, what else,? You can dip your apples, put it in your coffee, heck… eat it with a spoon. Hey, I’m not here to judge. You may be able to make caramel apples with this as it chills pretty hard, but I haven’t done it personally. It can be stored up to two weeks in the fridge… if it lasts that long. And to get it nice and runny again, just gently heat it in the microwave or in a double boiler. This recipe is perfect since the holidays are right around the corner, and you can top so many delicious holiday goodies with it. 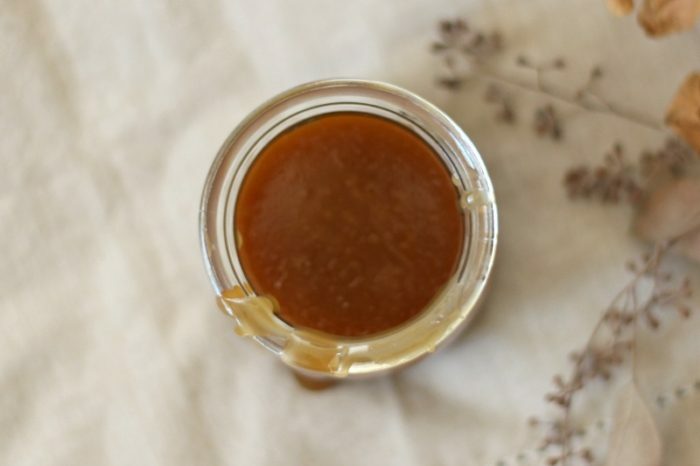 This easy and creamy caramel sauce is a real food version. Bring to a boil, turn down heat to a high simmer, and simmer for 10-20 minutes. Stir occasionally until sauce has thickened and can coat the back of a spoon. I used a store bought coconut milk (not the full fat version) I did not try this with cream. You may not have to cook it as long if you use cream. Store in the fridge up to two weeks. Gently heat to soften. Add 1 tsp pumpkin spice for a delicious fall version. 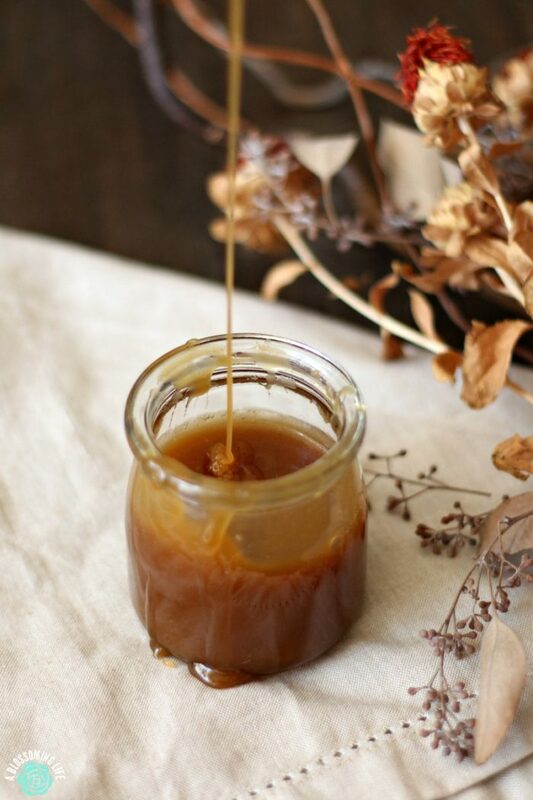 How would you use this delicious caramel sauce? Now, excuse me while I go lick the spoon.